The hats are available in Tan, Black, Brown, Olive, Navy Blue and Royal Blue. The caps now come in Black and Blue. 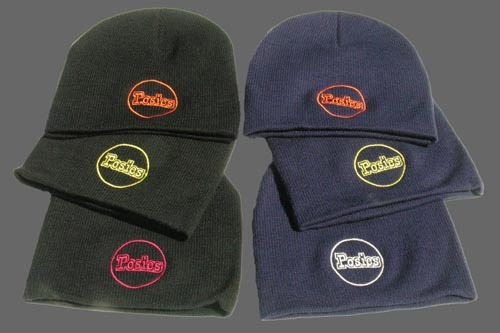 The POSIES logo comes in Orange, Yellow and Red on the black cap and Orange, Yellow and White on the blue cap.